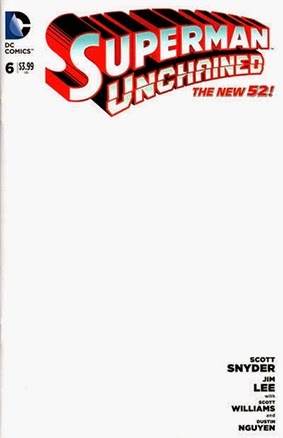 • PLOT SUMMARY: Blank Variant cover. The Man of Tomorrow and the Superman of yesterday go at it - no holds barred! Supes goes full throttle after his would-be ally, Wraith, in a seismic battle ranging from deep space to the ocean's floor and ultimately the core of the earth! Meanwhile, Lois Lane holds the key to defeating Ascension, but she needs to reach the Fortress of Solitude to ensure its safekeeping - not to mention hers! And she's being pursued by a heavily armed force, and it isn't Ascension! (W) Charles Soule (A) Tony S. Daniel & Various.